The six decades between 1870 and 1930 saw rapid changes in Latin America. Although there is an ongoing debate among Latin American historians about the best way to periodize the region's nineteenth and twentieth century history, there is also a general consensus that these years mark a distinct historical period in the region. The beginning of the era was marked by liberal victory in the ideological struggles that followed independence, and the period ended with the 1929 crash of the U.S. stock market and global economic depression that followed. During this period, Latin American elites promoted (and felt) a real sense of progress. They pushed to modernize their nations. Industrialization, new technologies, immigration, and the deliberate construction of nationalism by politicians and intellectuals characterized the modernity that emerged. This essay provides an overview of modernization efforts in late nineteenth- and early twentieth-century Latin America for instructors and students who seek an introduction to the topic. It can also be used as a basis for comparative studies of modernization beyond the region. By about 1870, the Liberal-Conservative struggles that dominated the political landscape of Latin America for several decades after independence ended with Liberal victories in most nations. Nineteenth-century liberals generally believed that the separation of Church and State, the extension of public education, a free market, industrialization, and the incorporation of the indigenous population into a shared (Europeanized) culture would serve the best interests of their nations and result in national progress and modernization. Many were strong believers in positivism, a philosophy derived from the French thinker Auguste Comte that applied the scientific method to society as a way of measuring and promoting progress. Liberals' vaguely-defined notion of "progress" generally meant that Latin America would begin to look more like Europe or the United States. They intended their policies in the late nineteenth century to create an industrialized, educated, urban middle class. They also tried to maximize the productivity of rural areas, often by promoting the consolidation of large agricultural estates or livestock ranches using the local mestizo or indigenous populations as a workforce or, in less populated areas, attracting European immigrants to come settle in the region. In the late nineteenth and early twentieth centuries, Latin American leaders largely succeeded in achieving "progress," if modernization is measured in kilometers of railroad track, telegraph lines, foreign investment, and new construction of public and private buildings that seemed plucked off the avenues and boulevards of London or Paris. When we consider the social and political consequences of their heavy reliance on foreign loans and the poor living and working conditions for the majority in both urban and rural areas during the period, however, we may see the outcomes of these policies in a different light. Although Latin America played an important role in the global economy from the time of the conquest in the sixteenth century, Spanish and Portuguese mercantilism limited trade and migration during the colonial period (to 1825) and political instability after independence impeded economic growth and foreign investment for many years thereafter. By about 1870, however, Liberal government policies intended to ensure favorable conditions for economic growth actively sought to introduce new technologies and foreign investments. However, their national treasuries were often inadequate for this task, so Latin American political leaders enticed foreign investors to build railroads, construct telegraph lines, build or improve port facilities, and pour capital into mining operations to achieve their desired progress and modernization. A shortage of labor accompanied the shortage of capital in many areas, so governments and investors recruited immigrants from the West Indies, Asia, and Europe. Technology and investments in late nineteenth-century Latin America tended to focus on the extraction, processing, and transport of raw materials, which remained the region's primary exports well into the twentieth century. Liberal governments granted generous concessions to foreign investors to build railroads and other infrastructure that would allow for further economic development. Railroads, widely seen as the symbol of progress and modernity in Latin America (as elsewhere), facilitated communication and transportation between productive areas and ports (or, in the Mexican case, border regions), but tended not to connect interior regions to each other. Built primarily with foreign capital, they served the export market. Government concessions granted for railroad construction often not only included land to build on, but actually guaranteed profits for developers, with the state promising to cover any shortfalls from its own revenues. Some investors, like American Minor C. Keith in Central America, were able to make the greatest part of their profits by using the land included in the railroad concessions for other purposes. Keith became the world's largest banana producer by cultivating the land alongside the railroad tracks in Costa Rica and then using the profits to expand his interests into other parts of the region.1 Other domestic and foreign producers sold natural resources in their raw state, agricultural produce, or minimally-processed products to the industries and consumers of the United States and Europe. Major Latin American exports during this period included coffee, rubber, cacao, tin, copper, nitrates, beef, and wheat. New imported technologies permitted more efficient extraction and economies of scale, but often at the expense of domestic ownership. There would be political consequences for these modernization strategies in the twentieth century. Latin American governments' rush to modernize by importing technology and seeking foreign investment was well-matched to the interests of capitalists in the U.S. and Europe. By the late nineteenth century, American and western European industrialization had produced enough capital to begin investing in other parts of the world, on one hand, and needed steady sources of raw materials, on the other. Investing in extracting Latin America's natural resources and infrastructure were a perfect fit. American, British, French, and German banks began to open branches in Latin American cities to facilitate financing and trade with the region. Between 1870 and 1930, Henry Meiggs constructed thousands of kilometers of railroads in Chile, Peru, and Costa Rica (in the latter case handing the work off to his nephew Minor C. Keith who became a banana magnate); Irish entrepreneur William R. Grace's shipping company first handled Peru's vast stores of guano and then gained a contract to control the Peruvian national railroads;2 John D. Rockefeller's Standard Oil Company began to explore oil fields in Mexico; the Guggenheim brothers invested in Mexican and Chilean mines; and Royal Dutch Shell began to exploit Venezuelan oil wells, just to name a few examples. Americans like Meiggs, Rockefeller, and the Guggenheims increasingly tended to dominate foreign investment in the region, especially after World War I. As we'll see, U.S. investments in Latin America served to justify the expansion of U.S. imperialism in the region, especially between 1898 and 1934. While all of Latin America in the late nineteenth and early twentieth centuries was affected by the drive to modernize and attract significant levels of foreign investment, few parts of the region experienced the impact of immigration like Argentina. There, a group of liberal intellectuals and statesmen known as the Generation of 1837, in power after 1862, worked to make Argentine culture mirror European culture. Leaders like Domingo F. Sarmiento, Juan Bautista Alberdi, and Bartolome Mitre believed Argentina would achieve progress once it had an educated, urban, and Europeanized population. Like Thomas Jefferson, they envisioned rural areas populated by yeoman farmers growing wheat and raising livestock for the domestic and export markets. Alberdi famously said that "to govern is to populate. "3 He and his colleagues intended for Argentina's population to grow rapidly through European immigration. Argentine policy in the late nineteenth century encouraged immigration by sending colonization agents to Europe, providing new arrivals with several days' housing upon disembarkation in Buenos Aires, and giving them free passage to agricultural worksites in the interior. Argentina's recruitment efforts were supplemented by migrants drawn to cheap transportation and high wages as well as significant numbers of their own countrymen already settled in the nation by the 1880s and 1890s. Between 1870 and 1914, about six million immigrants arrived. The vast majority hailed from Spain and Italy, although Germans, Swiss, French, British, and Russians also arrived in significant numbers. By 1914, 70% of Buenos Aires' population was foreign-born, and 30% of the entire nation's population had been born elsewhere.4 By the late nineteenth century, easier and cheaper transportation by steamship and railroad had created a global labor market, and Latin America played an important part in it. Argentina's leaders hoped that most of the immigrants who landed on her shores would colonize the sparsely populated pampas, or grasslands, to the west and south of Buenos Aires. Much of southern Argentina was populated by indigenous groups never conquered by the Spanish during the colonial era. They resisted incorporation into the national territory and culture and often raided white settlements. After decades of trying to pacify them with treaties and military expeditions, a massive military effort known as the Conquest of the Desert (1879-1883), led by General Julio A. Roca, finally succeeded. The indigenous population of southern Argentina was essentially obliterated and the land was opened for white settlement. Some immigrants settled on the pampas to raise sheep and cattle or grow cereals, but relatively few could own their own land, primarily because they lacked access to credit. Nonetheless, hundreds of thousands of immigrants worked on farms and ranches as tenants or sharecroppers and helped fuel the nation's growing exports of chilled beef and mutton, wool, hides, wheat, sugar, and other crops. A large number of immigrants remained in Buenos Aires, often working in factories and living in conventillos, the abandoned homes of the elite who had moved to the suburbs. Each conventillo housed hundreds of workers in space originally intended for a single family and its domestic servants. Crowded rooms, courtyards used as cooking and laundry facilities, and poor sanitary conditions characterized the conventillos where mostly male immigrants tended to cluster in groups based on their nationalities. Much of industrial life in Buenos Aires was dominated by meat processing plants. Salted meat was an important export, especially for the nearby slaveholding Brazilian market (where slavery was abolished in 1888). The use of refrigerated ships after 1880 (expanded after 1900) opened a new market for chilled and frozen beef and mutton in Europe. Britain purchased large quantities of beef to feed the troops during the Boer War in South Africa and during World War I. The production of textiles, foodstuffs, and other consumer goods also fueled industrial growth between 1870 and 1930. As in other parts of Latin America, economic growth in rural and urban Argentina was facilitated by this new transportation technology. Railroads into the interior were constructed with government and foreign capital. It was much easier to transport large quantities of grains and livestock products over long distances by railroad than with the oxcarts traditionally used for the purpose. A major improvement to the port of Buenos Aires was completed in the 1890s. A deeper port meant that passengers and cargo no longer needed to be ferried by small boats to the shore. Tramways connected different parts of the capital, and government buildings, railroad stations, private homes, and even the tree-lined boulevards evoked a sense of being in Europe rather than in Buenos Aires. Superficially, at least, modernization had arrived in Buenos Aires by 1930. Variations on the Argentine pattern existed elsewhere. Political and intellectual leaders in Chile tended to agree with their counterparts in Argentina that the indigenous population prevented national progress and modernization. In Chile, as in Argentina, a hostile indigenous population traditionally controlled southern territories. A military expedition in 1879 effectively ended native resistance and thus definitively expanded the land under the national government's control, opening the south to productive exploitation of agricultural and mineral products. Chile's liberal government also sent colonization agents to Europe in this period, but they recruited relatively few immigrants compared to those who arrived in Argentina and Brazil. Rapid economic growth in late nineteenth-century Chile was fueled largely by the mining industry, especially after her territorial expansion as a result of the War of the Pacific (1879-1883). In violation of an earlier treaty, the Bolivian government raised taxes on the Chilean- and British-owned Antofagasta Nitrate and Railway Company, and the Chilean military seized the territory to support the company's refusal to pay the higher taxes. Chile's victory in the war gained her the Bolivian province of Antofagasta and the Peruvian province of Tarapacá, both rich in nitrates and mining potential.6 Overall, the War of the Pacific stimulated the industrial sector to provide the food, clothing, and armaments necessary to conduct and ultimately win the conflict. After the war's conclusion, the rapidly-growing population of the newly-incorporated territory needed basic foodstuffs and consumer goods. This demand contributed to economic growth in central and southern Chile where the temperate climate (comparable to California's Central Valley) was conducive to food crops and livestock. Many of the foodstuffs imported into the new mining territories of the north originated in the new territory in the south. New railways and expanded steamship service between the nation's ports facilitated connections between the new northern and southern Chilean territories with Santiago and the heart of the nation's financial and political sectors. These two enterprises also resulted in great wealth for entrepreneurs whose conspicuous consumption proved their continuing or newfound success. Like Buenos Aires, Mexico City, Rio de Janeiro, and other large cities in the region, Santiago's construction boom in this period resulted in new public monuments and parks, boulevards, tramways, and public and private buildings that echoed European styles during the same era. Porfirian policies allowed foreign direct investment, and American and British entrepreneurs took advantage of the opportunities. Both American and British developers tapped into Mexico's vast oil reserves and financed Mexican industrial growth during the period along with their Mexican, French, and German colleagues and competitors. Manufacturing grew rapidly during the Porfiriato, and by the period's end Mexican factories produced beer, glassware, textiles, cigarettes, cement, explosives, and even steel. Favorable tariff policies and an excellent transportation network made Monterrey the nation's dominant industrial hub. Mining was also a focus of foreign investment capital, especially by U.S. entrepreneurs and corporations. The Guggenheim-owned American Smelting and Refining Company's investments in Mexico were valued at $100 million by 1911.9 The scale of American involvement in the Mexican economy shaped both twentieth-century Mexican nationalism and U.S. policies toward Mexico. U.S. investment in Latin America grew at a tremendous pace during the late nineteenth and early twentieth centuries. Historian Thomas O'Brien has labeled this period the "golden age" of U.S. capitalism in Latin America. Entrepreneurs, corporate leaders, and U.S. government officials generally agreed that the region was ripe with opportunities and rushed to take advantage of them. Profits earned in one area were often used to expand operations. Minor C. Keith's initial venture into railroad construction and banana cultivation in Costa Rica quickly expanded into Panama, Colombia, and other parts of Central America and the Caribbean. In 1899, he merged his enterprise with another American fruit company to create the United Fruit Company (UFCO). United Fruit eventually came to control the banana industry and much of the transportation, electricity, and communications in the area as it expanded and needed infrastructure to fulfill its own commercial needs. Housing and healthcare facilities provided basic necessities for the thousands of workers UFCO brought in from the West Indies, since local peasant labor was inadequate. West Indian laborers also worked on the construction of the Panama Canal, itself a product of aggressive U.S. foreign policy designed to promote commercial interests and protect national security. By 1903, the U.S. had long desired a canal through Central America to facilitate trade and naval interests. Earlier, a U.S. attempt to build a canal through Nicaragua and a French canal project in Panama had both failed. The French construction company (which had made more progress) was willing to sell to the U.S., but the Colombian government that controlled the area was unwilling to negotiate a treaty with favorable enough terms for the Americans. The problem was solved, however, when the U.S. supported Panamanian independence in 1903 and the new government of Panama conceded land and construction rights. Notably, the U.S. officially recognized the new Panamanian government before independence was actually declared and French engineer Ferdinand de Lesseps negotiated the new canal treaty without consulting the new government about the details. U.S. policy in Central America and the Caribbean during canal construction (1903-1914) and after the canal's inauguration aimed to secure the new waterway, considered essential to trade and national security as soon as it opened. The Roosevelt Corollary in 1904 expanded the reach of the Monroe Doctrine. In 1823, President James Monroe had declared that the U.S. would consider any European attempt to re-colonize newly-independent Latin America a threat. In 1904, President Theodore Roosevelt defined the U.S. as an "international police power" and noted that "chronic wrongdoing or impotence" would result in U.S. intervention. Roosevelt and his successors worried that non-payment of foreign debts might result in European occupation of Latin America, and also that political and social disruptions in the region would destroy U.S.-owned property or diminish American profits; U.S. military occupations prevented the former and tried to resolve the latter several times during the first third of the twentieth century. Between 1898 and 1934, the U.S. military mobilized and occupied Latin American nations more than 30 times, usually in Central America and the Caribbean where American investments were most concentrated and political instability caused disruptions more often. Overall, then, U.S. policy in Latin America during this period was shaped by racism, concerns for hemispheric and national security, and the need to protect U.S. investments. All of these factors were at play in Cuba, and ultimately resulted in the development of an anti-American nationalism. Unlike most of Spain's other colonies in Latin America, Cuba did not become independent in the early nineteenth century, primarily because her sugar-based plantation economy, fueled by slave labor, generated enormous profits that a war for independence might disrupt. To reward the "Ever Faithful Isle" for loyalty, Spain loosened trade restrictions and Cuban-U.S. trade became significant over the course of the nineteenth century. Eventually, the loyal Cuba became less so. Cuban patriots' Ten Years' War (1868-1878) for independence was unsuccessful, but they regrouped and tried again beginning in 1895. This time, the independence movement led by nationalist José Martí planned for social as well as political revolution. Martí's Cuban nationalism had a strong anti-American component; the poet spoke of "our America" that rejected U.S. dominance in the region. Although Martí was killed early in the war, his legacy of anti-American nationalism survives even today and has played an important role in the Cuban Revolution (since 1959).11 After the new war for independence began in 1895, the U.S. government watched carefully to protect the substantial American investments on the island. When the U.S.S. Maine exploded in the harbor of Havana early in 1898, William Randolph Hearst's yellow journalism blamed Spain and pushed for U.S. entry into the Cuban war. The Cuban war for independence became the Spanish-American War. Over in a few months, it resulted in an independent Cuba and U.S. control of Spain's last American colonies of Puerto Rico, Guam, and the Philippines (administered with the region by Spanish colonial authorities). Before the U.S. military would withdraw from Cuba, however, American officials insisted on the incorporation of the Platt Amendment into Cuba's new constitution. Introduced by American senator Orville H. Platt, the amendment actually limited Cuban independence once she was free of Spanish control. Its most important provisions prohibited foreign debts or treaties that might compromise Cuban independence; allowed for U.S. military intervention should life, liberty, or property on the island be threatened; and granted the U.S. a perpetual lease for the Guantanamo Bay Naval Base. The U.S. occupied Cuba from 1906-1909, in 1912, and from 1917-1922 before the Platt Amendment was abrogated in 1934. By that time, a strong anti-American nationalism that drew on Martí's writings and legacy had developed. Elsewhere in Latin America during the late nineteenth century and increasingly after the turn of the century, intellectuals criticized liberal modernization strategies that favored foreign investors and the export market over local interests and equitable development strategies. Their criticisms became louder and more vehement in the early twentieth century as liberal modernization advanced and its consequences became evident. The isolation of the region during the First World War from many of its trade partners contributed to this trend, although it also had the beneficial effect of protecting new industrial growth by limiting manufactured imports. Liberal strategies to achieve "progress"—extensive construction projects using cheap (often imported) labor, industrialization and urbanization that resulted in dangerous and unsanitary living and working conditions, the alienation of indigenous communal landholdings to promote private property, the expansion of export-oriented agriculture to the detriment of subsistence farming—often had serious negative effects on the working class, peasants, and indigenous communities of Latin America. Foreign companies' treatment of their workers and their ability to dominate certain economic sectors also drew criticism. When the Porfirian army sided with the U.S.-owned Cananea Copper Company during a workers' strike for better working conditions and access to promotions and the same wage scale as the American managers, it seemed a clear sign that the Mexican government favored foreign sources of economic development over its own citizens' interests. This situation and similar ones, along with other liberal policies during the Porfiriato (including the subdivision and sale of traditional indigenous landholdings), contributed to the outbreak and strength of the violent Mexican Revolution which ousted Porfirio Díaz in 1910. Mexico's new Constitution of 1917 and policies implemented over the next several decades (especially to 1940) worked to reverse the effects of Porfirian liberalism. The Constitution and subsequent laws prohibited foreign ownership of land near the border and coast, nationalized the oil industry, and provided for indigenous communal landholding and the bilingual education of indigenous schoolchildren to value their culture and preserve their traditions. The Revolution's commitment to Mexico's indigenous cultures was part of an important new strain of Latin American nationalism called indigenismo (indigenism), which began to develop in the late nineteenth century and became important to the region's political life during the twentieth. In our period, beyond Mexico, it was most important in Peru. Peruvian indigenismo began to develop in the 1880s, after Peru's loss in the War of the Pacific. Intellectual Manuel González Prada began to question why the nation's war efforts had failed. He concluded that the deep divisions between the white (and mestizo) population concentrated on the coast and the indigenous population in the interior highlands had been decisive. The indigenous population did not feel itself to belong to the nation, so ultimately only part of the population had contributed to the war effort, and it had been inadequate. González Prada sought to develop an inclusive Peruvian nationalism that valued the indigenous contribution to culture and respected indigenous traditions in contrast to liberal policies that attempted to Europeanize the population. His collaborators included Clorinda Matto de Turner who wrote Peru's first indigenista novel Torn from the Nest, and José Carlos Mariátegui who developed a socialist indigenismo and was influential in the early development of Marxism throughout Latin America. They participated in a Literary Circle that discussed political issues and then created the National Union Party in 1891. Although the political party was short-lived, it was influential and its indigenista participants continued to work for change after its disintegration. Víctor Raúl Haya de la Torre, also strongly influenced by González Prada, worked to build worker-student alliances and develop a Peruvian nationalism that unified the nation's diverse groups. In the 1920s while in exile in Mexico, he created a new political party, the American Popular Revolutionary Alliance (APRA). APRA's goals were to encourage Latin American unity and to resist U.S. imperialism in the region. Haya de la Torre founded a Peruvian APRA party focused on reform when he returned in 1930. Creating a broad coalition of peasants, workers, and some sectors of the middle classes, APRA was influential throughout the twentieth century. Even when the party did not present a presidential candidate, its influence decisively affected electoral results. APRA was influenced by socialism but, more importantly, was populist. 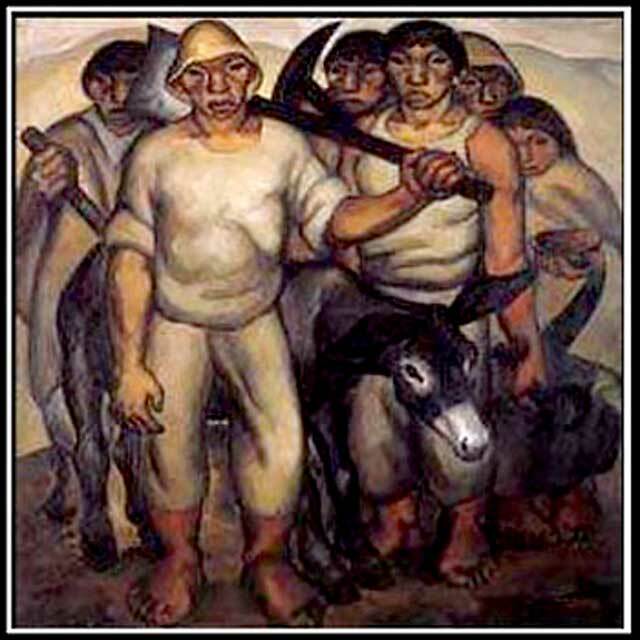 Populism emerged as a political force in several Latin American nations during the early twentieth century, also to counter the consequences of liberal modernization strategies. Industrialization and urbanization gave rise to the "social question," a catchphrase for the social and economic repercussions of widening divisions between the elite and the working class and peasants that included inadequate and unsanitary housing, poor working conditions, and sometimes even violence between workers and their employers or the police. Populism attempted to address these issues and gave concessions to workers in exchange for their political loyalty. Latin America's most important early populist leaders, Getulio Vargas in Brazil and Juan Perón in Argentina, were only beginning their political careers in the late 1920s and early 1930s, but each would later come to have an enormous impact on his nation's political landscape. By the turn of the twentieth century, then, and increasingly after the First World War, political movements that criticized liberal modernization strategies began to emerge in Latin America. Latin Americans were beginning to resent U.S. military interventions and political and economic influence in the region, the continuing dismissal of indigenous traditions as a critical part of the region's culture, and the neglect of the working class's best interests. Anti-American nationalism, indigenismo, and populism started to become significant political forces, and gained even more supporters once the Great Depression unleashed itsdevastating effects on the region's export-oriented markets after 1930. Another result of the depression was that the region's leaders began to turn inward to develop their nations' economies in ways that would be less dependent on external forces. Latin American enthusiasm for "progress," powerful as it was during the period 1870-1930, began to wane in the later twentieth century. Many of the same criticisms would return at century's end, with the controversial rise of "neoliberalism" and disagreements over free trade policies. But that, as they say, is another story. Lisa M. Edwards is an Assistant Professor of History at the University of Massachusetts, Lowell, where she teaches Latin American and World History. She can be reached at Lisa_Edwards@uml.edu. 1 Thomas O'Brien, The Century of U.S. Capitalism in Latin America (Albuquerque: University of New Mexico Press, 1999), 37. 2 Grace arrived in Peru directly from his native Ireland, but later established his company headquarters in New York. 3 José C. Moya, Cousins and Strangers. Spanish Immigrants in Buenos Aires, 1850-1930 (Berkeley and Los Angeles: University of California Press, 1998), 49. 4 Daniel Nugent, Crossings: The Great Transatlantic Migrations, 1870–1914 (Bloomington: Indiana University Press, 1992), 112-114. 6 Peru entered the war because of a previous alliance with Bolivia. 7 Henry W. Kirsch, Industrial Development in a Traditional Society (Gainesville: University of Florida Press, 1977), 42–44. 8 Michael C. Meyer, William L. Sherman, and Susan M. Deeds, The Course of Mexican History, 7th ed. (Oxford: Oxford University Press, 2003), 418, 430–431. 9 O'Brien, The Century of U.S. Capitalism, 39. 10 Greg Grandin's Fordlandia (New York: Picador, 2009) offers rich descriptions of both American perceptions and American efforts to moralize Brazilian workers. 11 Interestingly, opponents of the Revolution also claim the memory of Martí for their own cause.